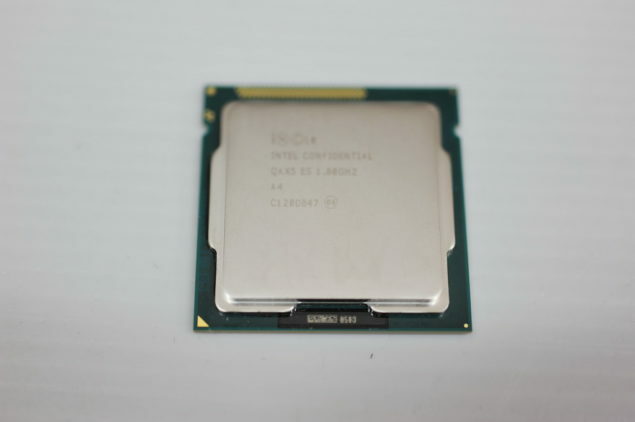 The CPU comes with 2 Cores / 4 Threads and a Clock speed of 1.8Ghz (0.928V) along with 256 KB L2 cache per core, and 4 MB shared L3 cache. The i5 2400 being a Quad Core comes with a higher clock speed of 3.10Ghz but the CPU was downclocked to 1.8Ghz for a Clock-to-Clock Benchmarking session. The results are quite remarkable for a engineering sample which is performing head to head with a Quad Core Processor in CPU dependent benchmarks. The Super PI and CPU Mark showed little then no difference between the Quad Core and Dual Core results but CineBench being Multithreaded took benefit from the extra cores on the i5 2400, But the gains still ain’t much. The benchmarks prove the Ivy Bridge would pack some punch, They’re expected to launch by Q2 2012 as detailed here. New Intel Roadmap Reveals “Sandy Bridge-E”, “Ivy Bridge and More.